My goal for 2015 was to read 140 books. That’s about two books a week or so. That’s about on par of what I typically read. Some of these books I read in December but a few are from this month so I am already on track with my goal! I read a lot of fiction. Mystery and thriller type books are my favorite genre for sure. As a teen I could not get enough of the horror books. I also like nonfiction, too, despite the majority of the books I post about being mysteries. I have a few nonfiction books on my “to read” list and will be reading those next. This is the same author that wrote the Wayward Pines trilogy (which was REALLY good if you’re looking for an intriguing series to check out), which will soon be a TV show. I really enjoyed that series and wanted to read more by this author. I had the opportunity to read this particular book for free through Amazon Prime. I LOVE this type of book…I don’t even know how to categorize it–mystery? Horror? Adventure with some paranormal aspects to it? It reminded me a bit of one of my favorite books–Thunderhead. 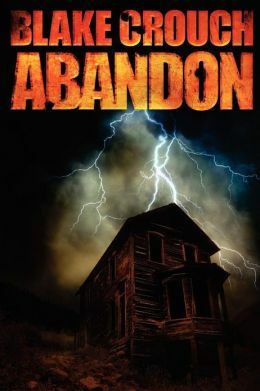 In Abandon, a group of people get a special permit to visit an abandoned mining town high up in the mountains in Colorado that is near impossible to get to. It’s a professor, a journalist, two paranormal scientists and their guides. They traverse difficult landscapes on llamas to get to this town that was abandoned mysteriously over 100 years ago. Then everything goes wrong, of course. 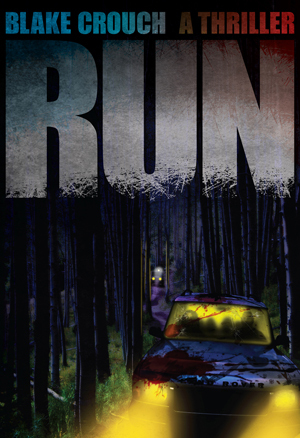 The book is told in both flashbacks to the 1800’s townspeople and the current day group trying to explore the town. There were some really gripping, exciting, horrifying elements to this book and it kept me on the edge of my seat. The ending was a little weak, I felt like maybe the author didn’t know how to finish it–but that didn’t ruin the rest of the book for me. Another free read from Amazon Prime for me. 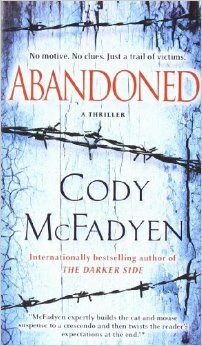 I read it right after Abandon because I just wanted to read more from this author! Where do I start? This book was a wild ride from beginning to end. Heart pumping action. The “cause” of this downfall was unique and fascinating and I bought it. The character’s fear felt real. The panic and desperation jumped off the pages. It was a great book. My one complaint is that the book starts in the “future” (or present day) with an unknown character and then the end of the book goes back to that time period and character (revealing who it really is) but by the end of the book I had completely forgotten that first chapter and how the book started and was so wrapped up in the survival story I was confused. Then I remembered. The ending fits but it was abrupt. This book was amazing. I was impressed beginning to end and felt like it was a solid book–and would be a great movie. The last book in this series! I hope he’s writing more because I love the characters. This book takes place in more recent times, while the earlier books in the series took place in the late 80’s and early 90’s. The main characters have grown up a lot and their lives have changed drastically. I’ve been a huge fan of these authors for a long time. But apparently I missed a bunch of their books! It was before I religiously used Goodreads and kept track of what I read so I bypassed several of their novels thinking I’d already read them but I hadn’t. This was one of them. It was a page-turner! Suspense from beginning to end. The story was an adventure story–kind of a cross between Indiana Jones and a book about explorers to a new land. I haven’t read many maritime adventure/survival stories and this was a great one that made me want to read more in this genre. I liked the characters, I was excited to finish the book and wanted to read more. I didn’t really know what to expect with this book and had little knowledge of what it was about. At first it feels like chick lit; the story of several middle aged women who are friends because their kids are in the same kindergarten class. But as the story unfolds you realize it’s so much more. The way the author told the story was fantastic. The layers peeled back bit by bit and you suddenly realize there was so much more going on in the story. On the surface you think the book is about childhood bullying. At one point another mother starts a petition to get rid of one 5 year old who was deemed the bully of her kid. Reading this you get angry at this woman and angry at how the lemmings surrounding her follow suit. You realize that even as adults, you never really escape that snobby clique-y world that is school…The end of the book was CRAZY. It was such a good read and it had me hooked. It ended exactly the way I would have wanted it to end. GREAT READ!! This book makes my top 10 books this year for sure. From beginning to end this book was fantastic. It was an easy, fast read and I loved the characters. I wanted them all to win in the end. The bad guys were good bad guys and you hated them. The heroes of the story (and there were a few) were so well written and REAL. The story was fascinating, exciting, on the edge of your seat fun. LOVED THIS BOOK. Cannot recommend it enough! I picked this book up by random at the library and was happy I did! Although, I later discovered that this was book 4 of a series! Dammit! I hate when that happens. However, it works as a stand alone book and I never felt confused or like I missed out not having read the first three in the series (and will be reading the other books soon). 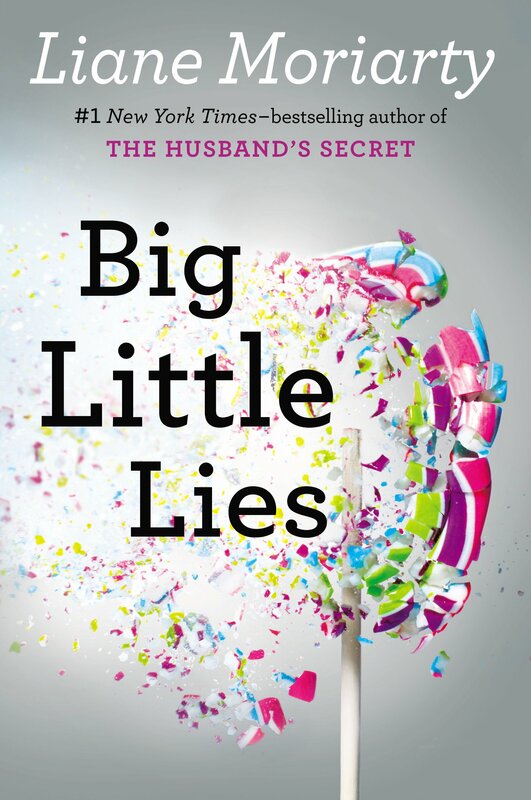 I started reading the book and when I thought maybe there were previous books I checked it out on Goodreads and sure enough, this was book 4 AND this book had a lot of mixed reviews. As I kept reading, however, I found that I really loved the characters and how they interacted with each other. The story was new and compelling. It felt original and it was exciting. It kept me guessing! 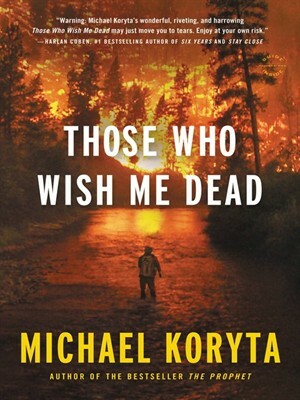 I enjoyed this book a lot and would recommend it to anyone looking for a thriller. Do you have a reading goal for 2015? Have you read any good books lately? Thanks for the new recommendations, Lisa! My “to-read” pile was down to 5 books and I was getting nervous LOL. There are several on your list that are going into my hold queue at the library today. My daughter and I just read an excellent book – “I’ll Give You the Sun” by Jandy Nelson. It’s listed as a teen book, but it is truly for all ages. It reminded me a bit of “The Fault in Our Stars” – just a very good read. I am currently reading the latest Jack Reacher book, they are such good and fast reads. I was also turned on to a new series by my BFF at Christmas. The author is Karin Fossum, she’s a Norwegian author and her recurring character is Inspector Sejer. I received “He Who Fears the Wolf”, which was one of the first ones offered in English, though not the first in the series. The first one is “Eva’s Eye”, which is in my “to-read” stack now. I used to be able to read 100+ books a year, but since I started working out more regularly 4 years ago, I am lucky if I finish a book a week. Not counting audio books, of course. Wish I had more time to read, but a girl needs to sleep and shower and, oh yeah, go to work, right? OMG I think it would take me 5 years to read 140 books – and that would be pushing it even. When on earth do you find the time with a job, marriage, working out, cleaning your house, etc.? Just got Station Eleven which a lot of people have mentioned to me — I’m happy it’s got a 3 week return from the library! Haha! I read during my breaks and lunch at work. I read at night before bed for about an hour. Sometimes on the bus. I find time. I also read really fast. And honestly, getting the Kindle I found that I could read even fast than before. Not sure why. I have a pile of books on my Kindle to read, but I just haven’t had as much time with the house rehab to do much reading. I am reading Life is a Wheel by Bruce Weber, which is about a man’s bike ride across the US. It’s very easy to read and quite interesting. If You enjoy a good political thriller, I would highly recommend Pulse by Robert Cook. One of the most outstanding books in it’s genre that I have ever read and there are a couple more in the series too. I strongly encourage you to check out some of the reviews and look into this one. I’ve recommended Pulse to a number of my friends and family and I’m yet to hear anything but praise.